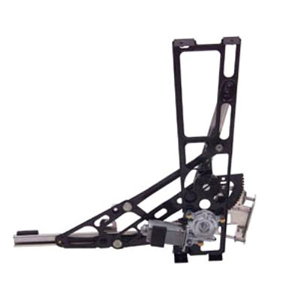 These regulators are an exact replacement for the original window regulator. A quick way to get back the original performance of your power windows. Weather you have a slow moving window or one that works when it wants to we have the solution for you. These are exact replacements for a 1988-1996 model or an upgrade for your 1984-1987. Last edited by southerncarparts; 07-19-2016 at 05:09 PM. Have a an '84 corvette, 35K miles, and my driver side elec window stopped working today. I can hear the motor work, but the window is stuck half open / closed. Not sure, but sounds like a the 'ribbon cable' broke like so MANY of these cars. Trying to figure out what my options are, replace the $20 ribbon cable plus the labor or replace the window regulator with a newer model and avoid future ribbon cables breaks. All thoughts and suggestions are welcomed. On my '84 vet with the windows down, and when I closed the door(s), the window rattles inside the door, like it's going to break - if I install a newer window regulator, will that window rattle sound go away with a new style window regulator? 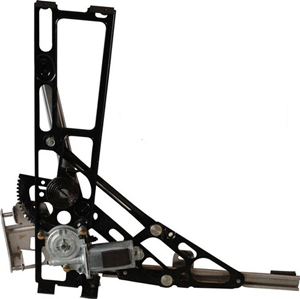 Are the newer style window regulator bullet proof, are they drop-in without any new wiring or drilling new holes?